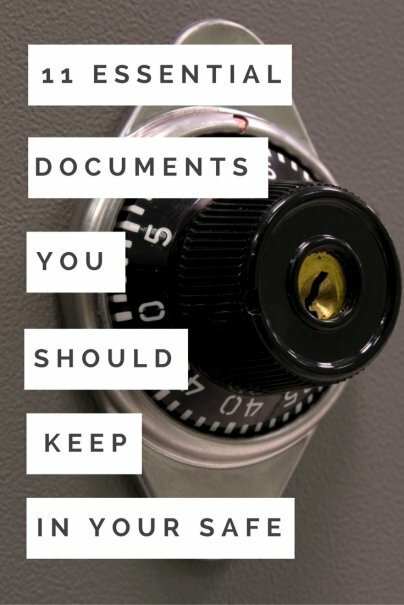 It's important to keep the documents you need to establish your identity, property ownership, and financial assets safe … which doesn't mean in your filing cabinet or stacked in a pile on your desk. While you may have digital copies of IDs and tax forms stored on your computer, you should also have a hard copy, in case the digital version is accidentally deleted or your computer crashes. Certain documents deserve a very safe place — like a fireproof safe — in case of identity theft or fire or a break-in. These are the documents you need to put in there. Get a copy of your military ID, driver's license, or state-issued ID, as applicable, and keep the copy in your safe. You should also keep your passport or green card in there when not in use. Any other documents you have relating to your citizenship, immigration status, or naturalization should be kept in your safe, as well. If you've had a professional appraisal done on your house, or any high-value you item you own (such as original art, heirloom jewelry, or antique furnishings), keep these documents in your safe. If you decide to sell these items later, this documentation will give you the upper hand in the selling process. Keep your mortgage papers or any real estate deeds in your safe, as well as the title and registration for any vehicle you own. Don't forget boats, trailers, and tractors.